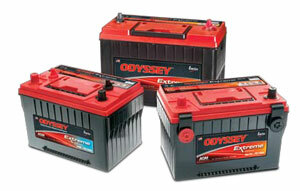 ODYSSEY Performance Series batteries provide all the reliability of ODYSSEY Extreme Series batteries, without the high CCA (cold cranking amps) or RC (reserve capacity) many people may not require. Designed to handle the increased use of onboard accessories in today’s vehicles, ODYSSEY Performance Series batteries combine long service life, high reliability and deep cycle capabilities. Commercial trucking and Tractor trailers With today’s no-idling laws, big rigs need a battery that can keep everything in the cab running when the engine isn’t. 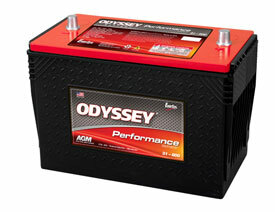 ODYSSEY Performance Series batteries can power a range of on-board accessories and still deliver reliable starts.